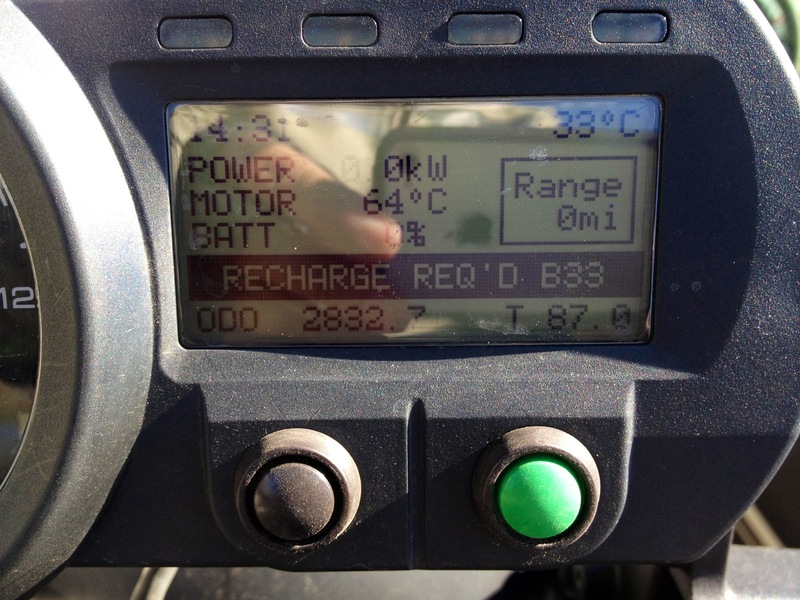 Blog 43: Review number 1 of 2 for the Enertia Plus. Some Sunset photos. 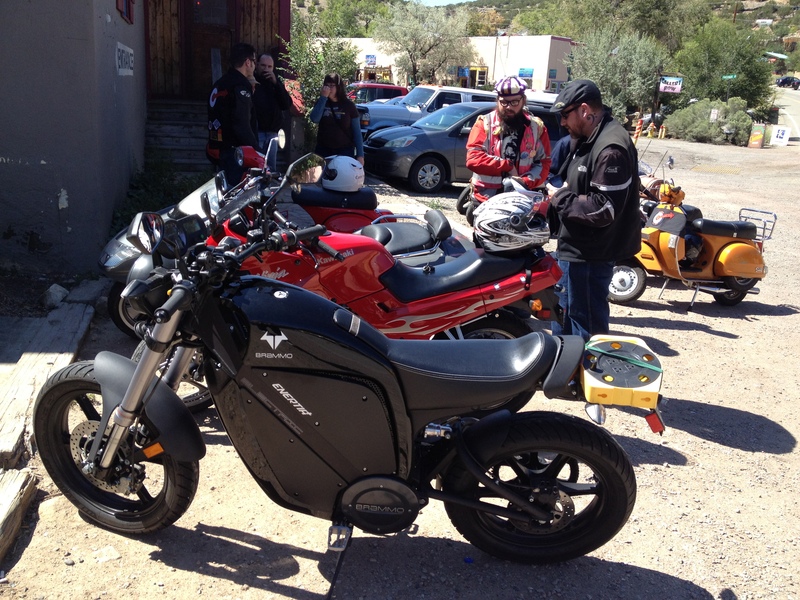 And a trip to Madrid….New Mexico. Starting with the easy part….PHOTOS. (reviews are hard) Friday night I was out getting some Vodka and hot dog buns at Costco because we needed big bottles of Vodka and an insane amount of hot dog buns. Costco is the place for that. Saturday was our “End of Summer” party as we don’t want to have 3 birthday parties in one week (me, my wife and my sister in law’s birthdays are all within 6 days of each other). So as I’m driving to Costco I notice that the sunset is looking quite nice in my large Enertia Plus mirrors (will be discussed in Review part 1). And like I often…too often…do, I stopped to get some photos. And then I force you, the readers of this blog, to look at them. So first I drove to every inch of the Costco parking lot and couldn’t get the photo I wanted. So I left Costco and found a nice little construction site…but still no good….So off to a field across from the Nuclear Museum and BINGO. Photo one. And then I thought, “Hey I bet the Nuclear Museum** would be a nice backdrop” So….. But the lighting wasn’t quite right…and I was using just my iPhone…which does great in daylight, but not nearly as nice at night. But then I remembered a little trick. Focus in close and take a photo…and then focus out far and take a photo…and then “merge” them…So you have a nice bright foreground and a nice natural color background. 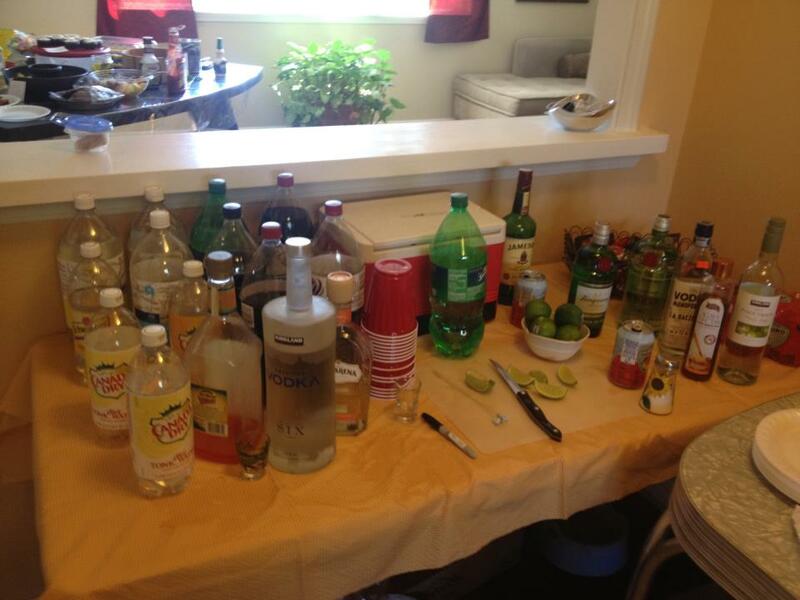 It was a nice little diversion…but there was Vodka to be bought…and Costco closes kinda early…. A fun day….but not a day for driving. I made up for it on Sunday. A ride to Madrid, NM and back. 87 miles of mixed driving, but most of the ride was over 50 mph. I love the ride out to Madrid. Up, down, flat, curvy, and mostly empty open roads. And then you end up in Madrid, a funky little ex-mining, ex-ghost town. It was the town used in Wild Hogs. An awful movie. And for the bar fight scene in Paul. A much better movie. 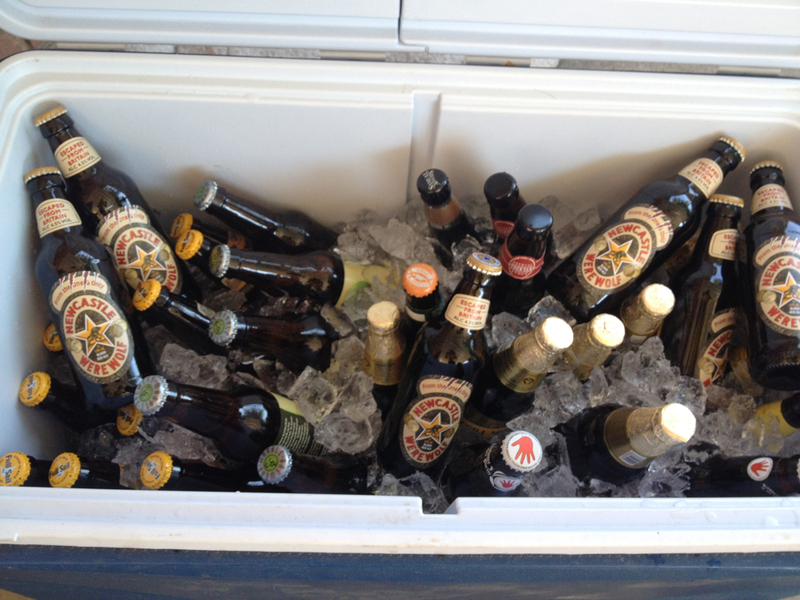 But first I leave home to meet up with some friends for the ride. Leaving the house. 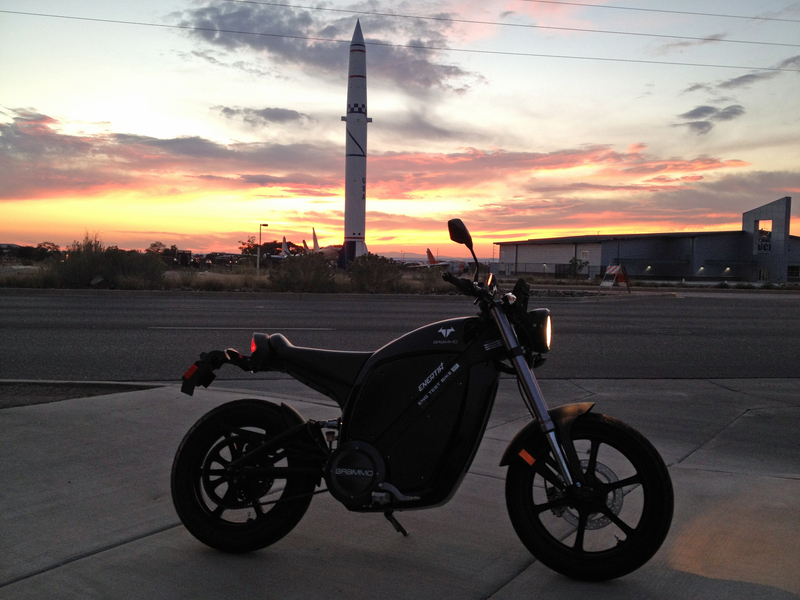 The Enertia Plus and my Maxi-Scoot. My son-in-law now rides my Fuoco as I am always on the Brammo. 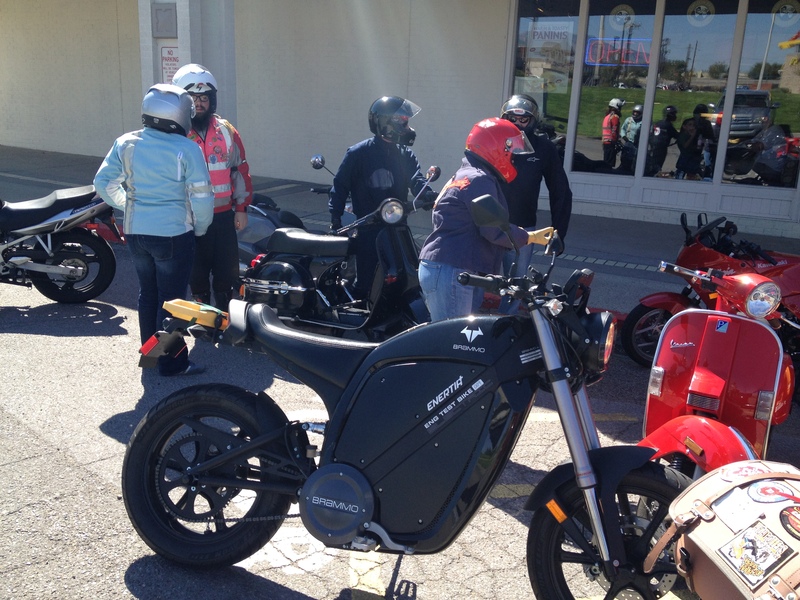 First stop….Einsteins on Tramway and Central. All rides to the East Mountains start here. I had to ride up and talk to William…he had a new scooter I had not seen before. That Ram Mount better hold…my iPhone is My Precious. Handlebar camera. I am now rocking two cameras…Now I just need to stop being lazy and edit the clips down. A couple of long videos will be added at the bottom of this post…. And I always stop at the Mine Shaft Tavern for a Buffalo Burger. 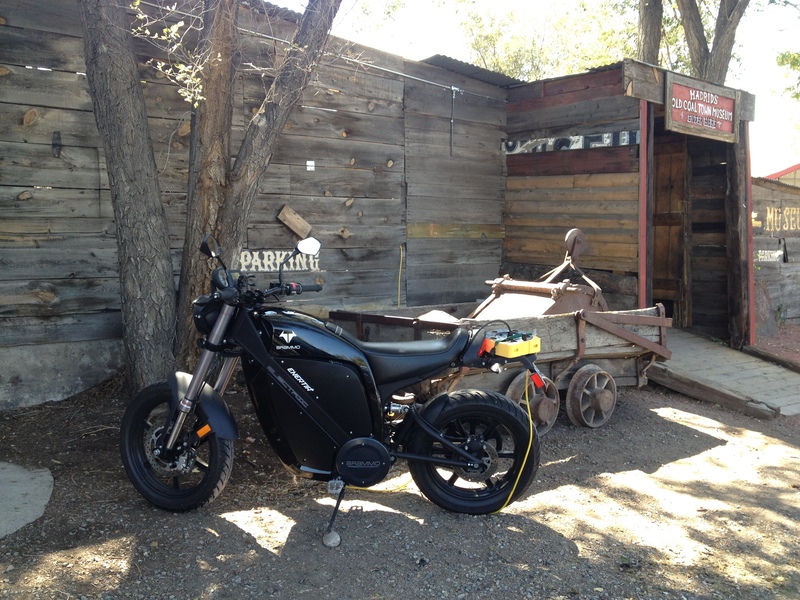 and it was a cool place to park…right by the entrance to the Old Mine Shaft. On the road back….this is the high point of the highway…7027 feet. 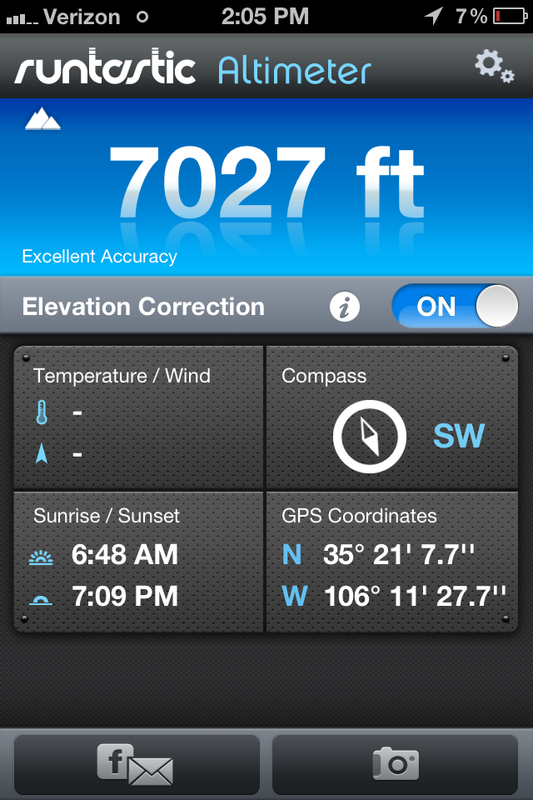 I stopped to see what the elevation was. 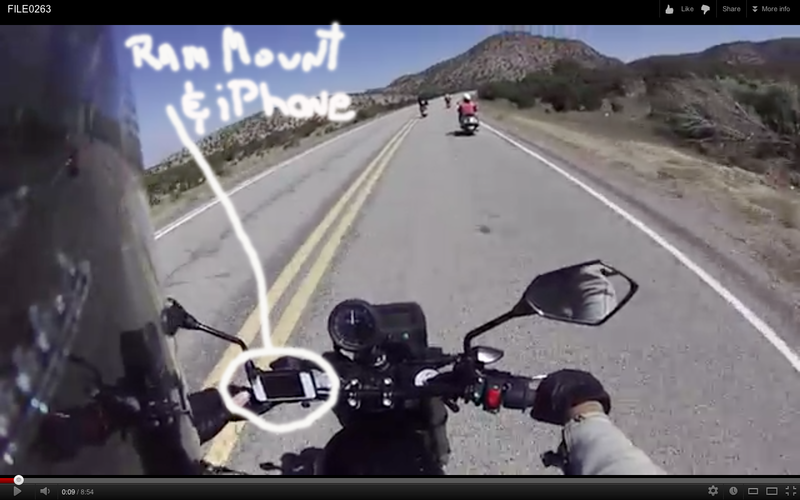 And yes my iPhone battery was almost empty…I was doing some video with my helmet cam and my iPhone on the ride. 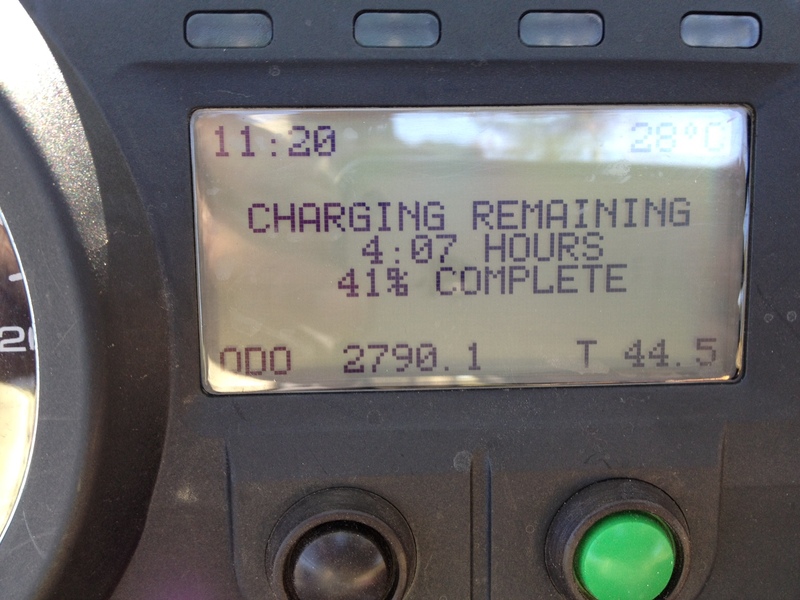 It was a “use up all your batteries” kind of day…but more on that in a minute. And that minute is now: I knew the Plus couldn’t make it to Madrid and back. It is 87 miles round trip from my house and I have done almost 87 miles on the Plus, but that was city/suburb riding. No way with a large portion of the trip being 50 mph or more. 60 percent used. Ok. I need to charge back up to about 60 percent before I leave. 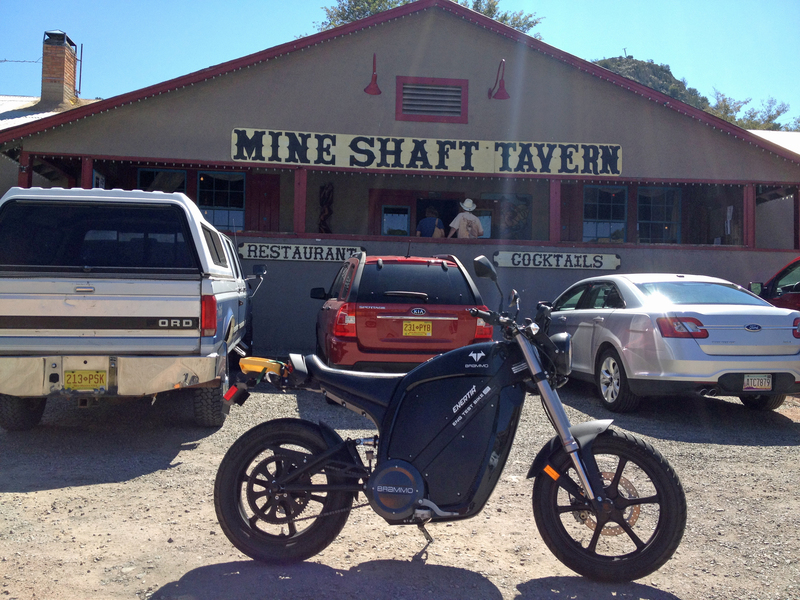 and an hour and a half spent in the Mine Shaft Tavern fit the bill perfectly. Except…I rode home without the scooter people. 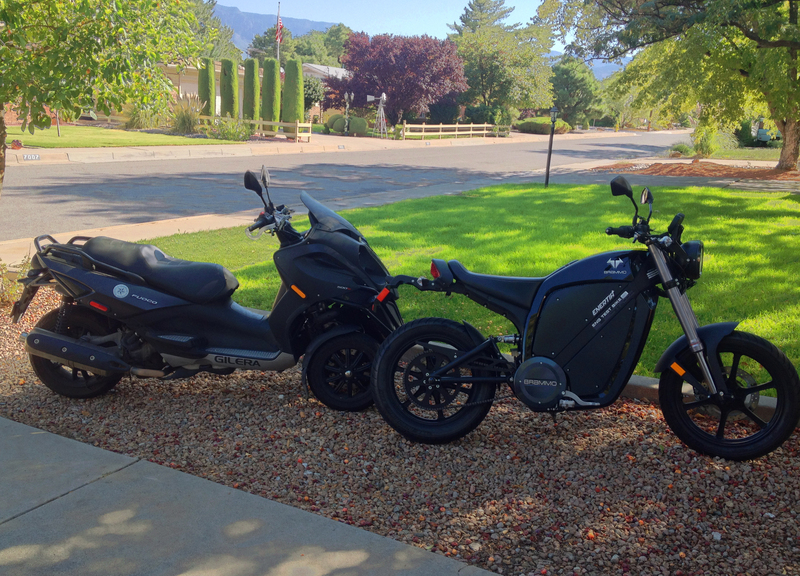 I rode a bit faster heading home as I wasn’t staying back with the 150cc 2-stroke bikes that take the trip a bit slower than I do on the Enertia Plus. Thus I used more juice. Long story short, at 81 miles traveled and 6 miles or so from home I was at zero battery. Bike was still going, but I didn’t want to push it. I stopped at a Smith’s Grocery store, hooked up the charger and bought a soda. Drank the soda and unhooked and headed the rest of the way…And was at zero again at home. It still was going fine (I wonder how much extra distance you can go on zero?) but I did get a “hey dude, charge up you fool” warning. But all in all, a good day, a nice ride and “almost” enough juice. I should have stayed and walked around Madrid a bit with the scooter people, then it would have been fine. But I had Sunday Football at my brother’s house and didn’t want to be too late. This is basically a review of the differences from the Enertia to the Plus. 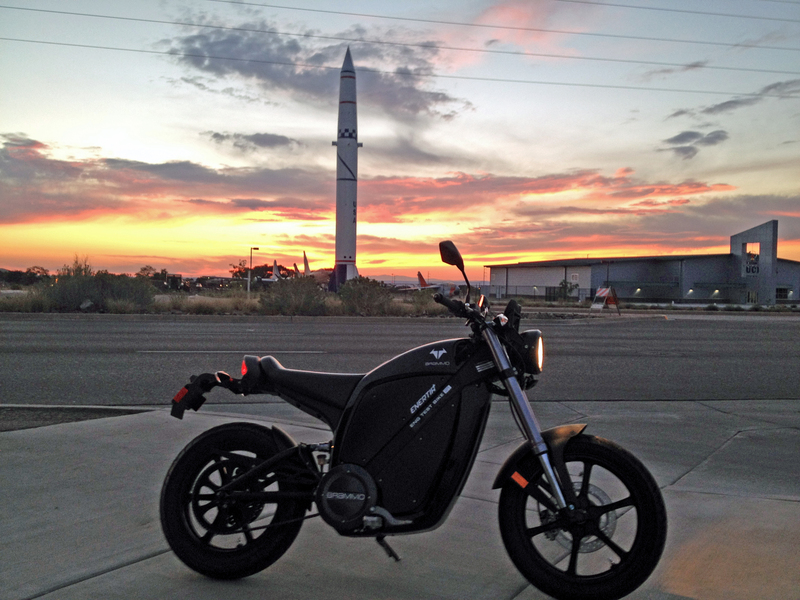 It really won’t mean too much to anybody other than those who have owned an Enertia. 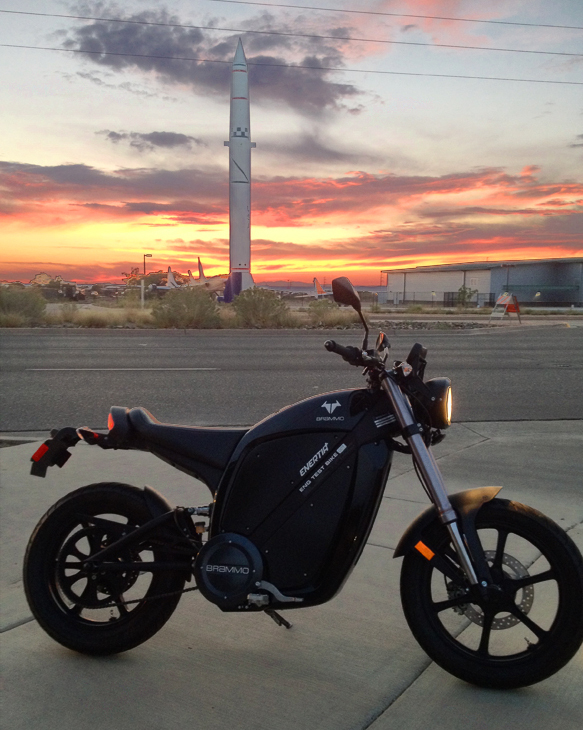 For everybody else, the Plus will likely be the only commuter Brammo bike you demo or ride and won’t know what the Classic or Legacy Enertia was like….So. Range: The most obvious change. 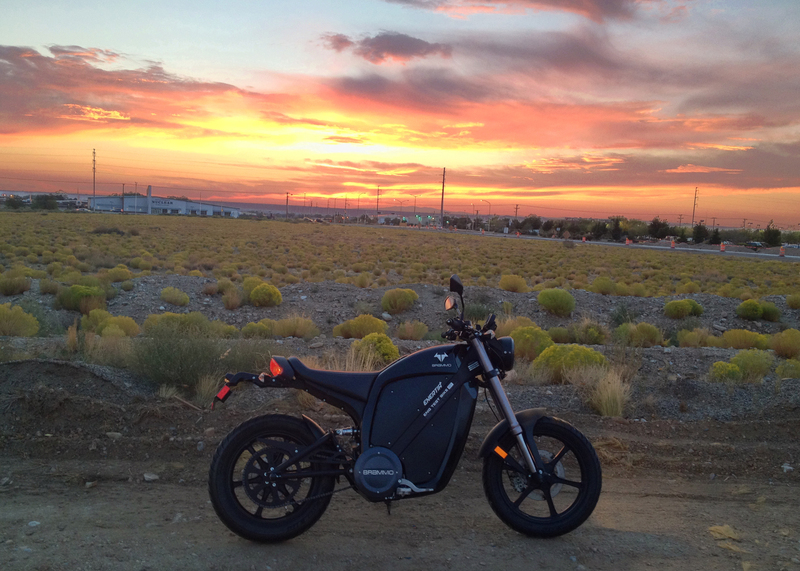 I was getting about 35 mile per charge in my city commute. I expected the Plus to go about 70 miles. 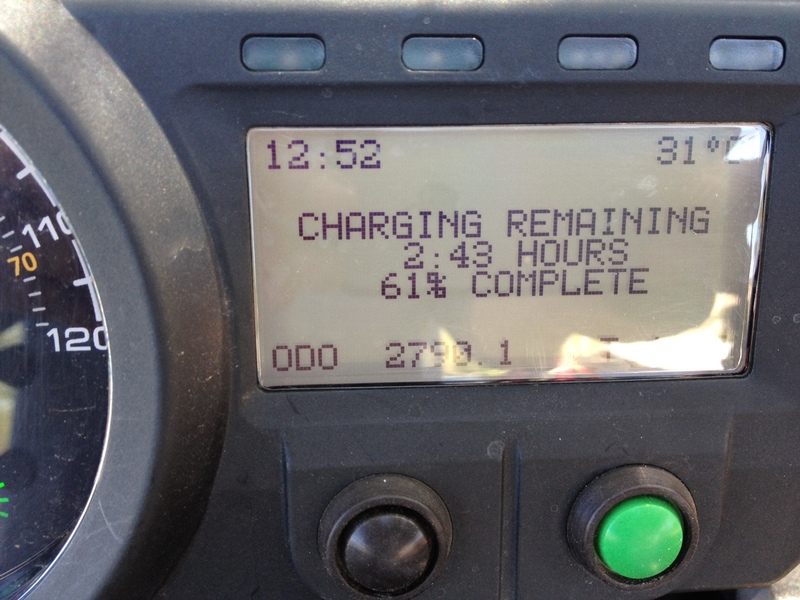 I am getting 84-86 miles per charge on the same route. So the expected doubling of the range, plus about 15 miles more. Sweet. Mirrors: Nice…I can now actually see something in the mirrors other than my shoulders 🙂 They are, in my opinion, perhaps just a bit too large. I see about 3 lanes on either side in them now. A happy medium would have worked. But better a bit too big than a bit too small. 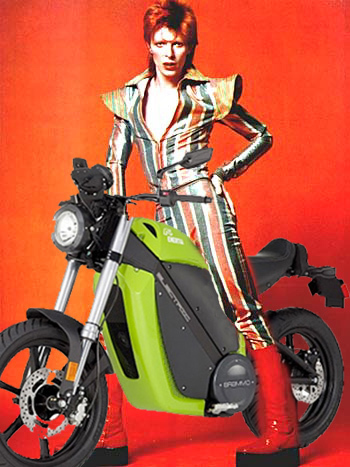 Turning–Steering lock–The garage and parking lot maneuverability of the Enertia Legacy was fairly poor. She did great on the roads, but had a very limited turning radius at “walking” speed. Basically the times you move the bike within your garage or other tight areas. The new Plus has much improved turning. Very Very nice. In and out of my garage with no effort at all. No more do I need to pretend to be Austin Powers as I make my 18 point turn in the garage (exaggerated for humor). O-Chain. Oh my oh my do I love the O-Chain. Nuff Said. Top Speed. I could go an indicated 65 on the Legacy. It did 60 mph easily and as long as I wanted. I can go an indicated 70 on the Plus. It does 65 mph easily and as long as I want. I have not confirmed the speedo with my GPS at highway speeds. It seems fairly accurate. And I have ridden with the GPS in town and the speedo is about 1 mph high at 40 mph (GPS said 39 mph). Will try and GPS on the highway this weekend. Engine Braking–Regen. 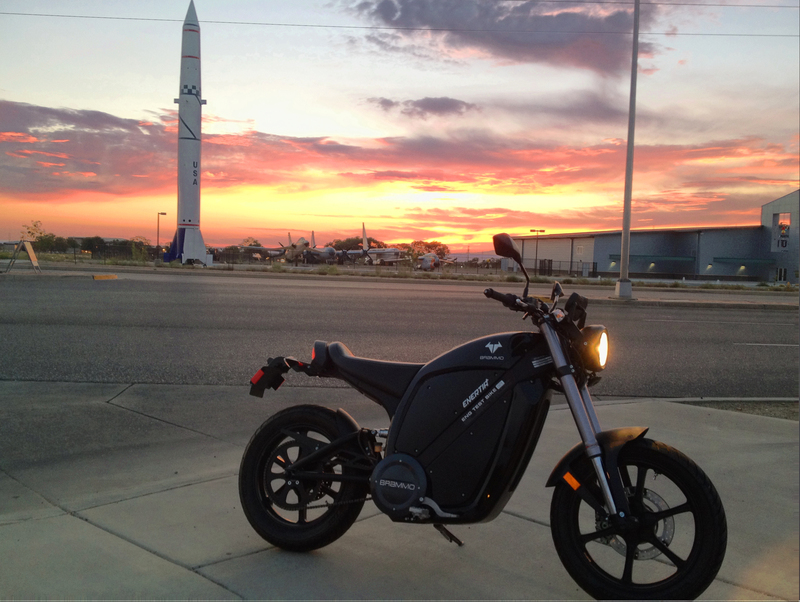 The Enertia Legacy had no engine braking and no regen. The Plus has both. It is the one change I wasn’t completely happy with at first. I loved coasting. Especially at night. I felt, with no noise and no vibrations, that I was a piece of the bike moving through the wind. Like the nose cone of an airplane. It was fun. The Plus does not coast. 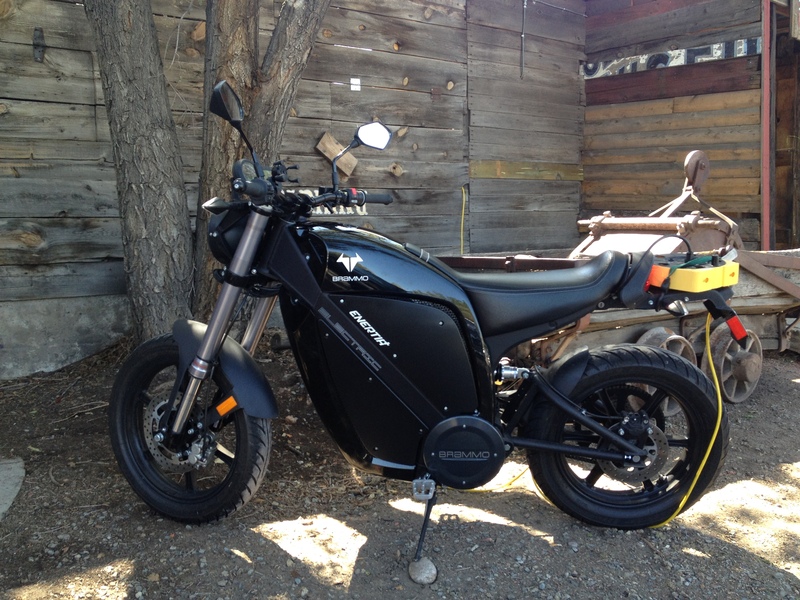 The upside is that the engine braking gives some regen and it does make the Plus feel more like a “real” motorcycle. It is also killer fun in the twisties where engine braking is both joyous and helpful. So I am still just a touch “torn” on the Engine Braking. LOVE it in the mountains. But I would like to turn it off with night riding. A clutch would solve that…but adds complexity. A “no-regen” switch would be nice. But that is for the future, if Brammo wants. The Engine Braking does make the bike feel more solid and it likely will be appreciated by motorcycle people. And really only myself and a few other Brammo riders will even know engine braking is a new thing. So…I missed the coasting a lot at first…now I hardly miss it at all….but still would love to have it for dark, still nights. Start up LCD screen: The start up LCD screen is, thankfully, the 3rd screen on the Legacy. The screen with all the information. The screen I always used. Horn placement: Moved from body to under headlight. Not horribly attractive, nor does it jump out as a design error…so looks are neutral. But it is a far bit louder being outside the body of the bike. And louder, for a horn, is nice. Noise: The new motor seems a bit louder than the old one. And the Legacy, with coasting, had periods of near silent riding. The new motor seems a bit louder with acceleration, but also louder overall because engine braking is making noise too. So, where before the bike was silent at stops and when coasting, the Plus is only silent at lights. Well, saying all that, what it comes down to is: “I like it. A lot”. 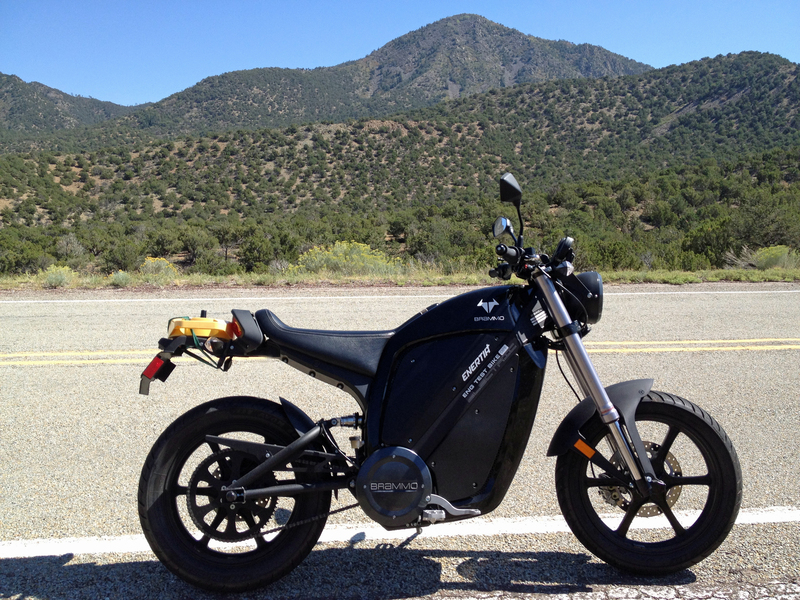 I can go to the top of the mountain and back on one charge (70 miles and 5ooo feet gain in elevation). I can go to Madrid and back with a nice little lunch break. I can commute all week on one charge. It is a big difference. But more on that with the “real” review. This was just a teaser review…a review for current owners only. Bonus video…longer, but has some pretty stuff. leave no man, or woman, behind. The group gets separated a bit. longish handlebar camera (iPhone) video heading toward Madrid.